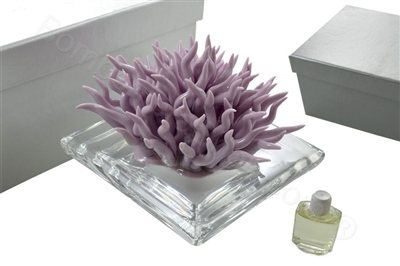 Debora Carlucci Lilac Coral Perfume Diffuser with Crystal Base. Nestled in white box with satin lining. Vial Essence included.